Video Scheduler Internal Error: You might have heard about Video Scheduler Internal Error that occurs by displaying a blue screen with an error message like Video Scheduler Internal Error. So many Windows 10 users have faced this issue on their systems and reported on this issue. We have a solution to Fix Video Scheduler Internal Error which is given below. 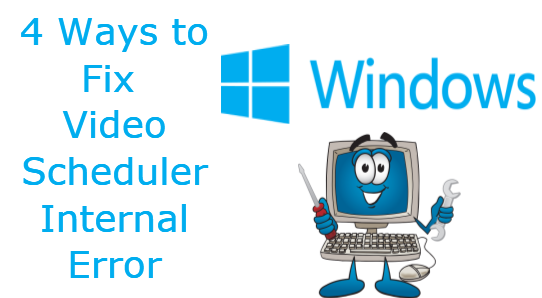 So, we have decided to write an article on How to Fix Video Scheduler Internal Error Windows 10 which can help people to get rid of this issue. So, try the following steps given here which will definitely help you to fix the problem. 1 What is Video Scheduler Internal Error? What is Video Scheduler Internal Error? Video Scheduler Internal Error is also called as Blue Screen of Death (BSOD) error which occurs whenever there is a fatal violation in the video scheduler. This kind of issue occurs when there is a conflict caused by the Graphics card and Hardware drivers. If you find this issue on your PC then it will usually show a blue screen and freezes for a moment before acquiring this issue. So, before trying the methods to Fix Video Scheduler Internal Error we will take a look at various causes of Video Scheduler Internal Error. Incompatible, corrupted or outdated Graphics drivers. Also Read: File Explorer not Responding on Windows 10: How to Fix it? There are many ways to Fix Video Scheduler Internal Error which are included below. You don’t have to try all of them. Just choose the Best Method to Fix Video Scheduler Internal Error which suits your issue and device. Check the possible system file and hard drive corruption. Check out: How To Remove The Malware Virus From My Computer? Whenever your system drivers are outdated then the Video Scheduler Internal Error may occur. So you should always verify that you are using the right drivers and they are up to date by installing Latest Driver Updates. You can also try using the Free Driver Updater which can help you to install updates automatically. You can Update System Drivers in two ways. One is manually and the other is automatically. Manually: Updating your device drivers manually is a bit risky and time taking process. Because you should go to the manufacturer’s website, search for correct driver files and Download Device Drivers which suits your Operating system and version. Automatic Driver Updates: When it comes to Automatic Driver Updates, it will reduce your time, efforts, and even you don’t have to know any computer skills for that. All you need to do is just Download Driver Updater Tools from online and install it carefully on your desktop. Some of the drivers present on your system may lead to the cause of Video Scheduler Internal Error. So, try to find them on your Desktop/Laptop and Reinstall them. Follow the given steps carefully and clear the video scheduler internal error windows 10. 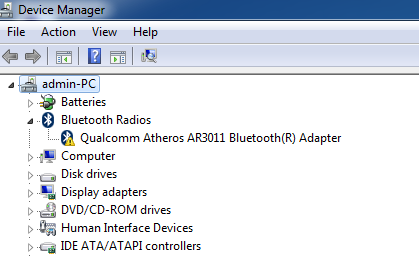 Step1: Open Windows Search Bar and search for “Device Manager” and click on it. 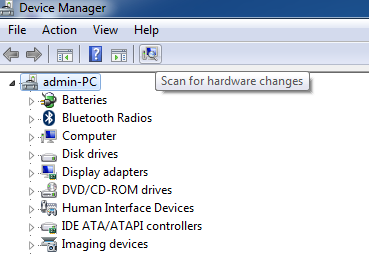 Step2: You can find an option called “Scan for hardware changes” in the middle of the window. Click on it and wait for sometime till the system searches for any hardware issues present on your computer. Step3: If you find any device driver showing an unusual mark such as a yellow exclamation mark then try to uninstall it and reinstall it. 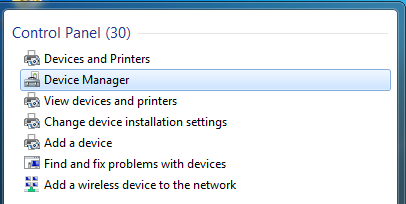 Step4: Now, right click on the device driver which you found issues and choose “Uninstall option”. Step5: Once after clicking on Uninstall button, you will get a pop-up window for uninstalling confirmation. 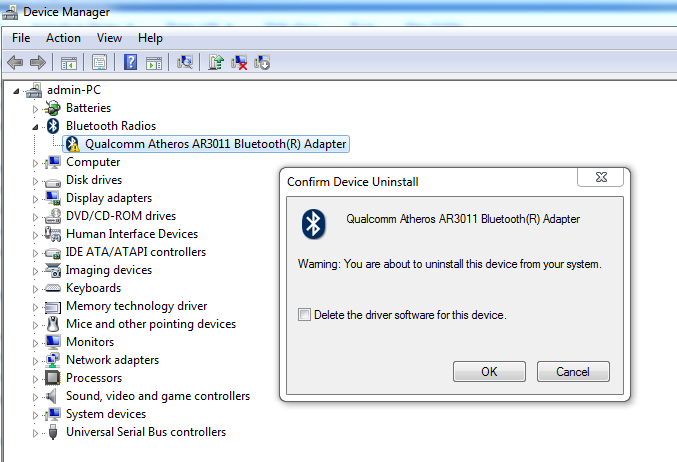 You can choose the ok option and uninstall the driver from your system. 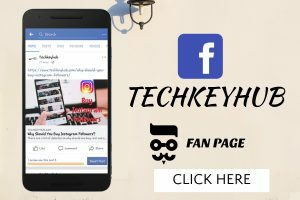 In some cases, the system will again reinstall the device drivers automatically if you have enabled the automatic driver updates option on your device. If the computer doesn’t install the driver then try to choose the exact driver available online and install it correctly. 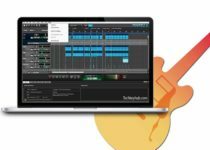 As we all know that, for every Windows Operating System device we will be getting some regular updates which need to be installed on our computers to increase the performance of the system. I especially observed that Video Scheduler Internal Error Windows 7 occurs mainly due to irregular updating of Windows Updates and System Updates. So, follow the regular Windows Updates whenever your system notifies you to install it on the device.